Welcome to the 353rd Inspire Me Tuesday. I hope you all had a wonderful Thanksgiving with your family and friends. My daughter hosted and dinner was soooooooooooooo good. I ate way too much. Now it is time to get busy with Christmas decor and shopping. Here are a few things that might inspire you. If you have some really strange tile around your wood stove, then change things up like She Holds Dearly did. 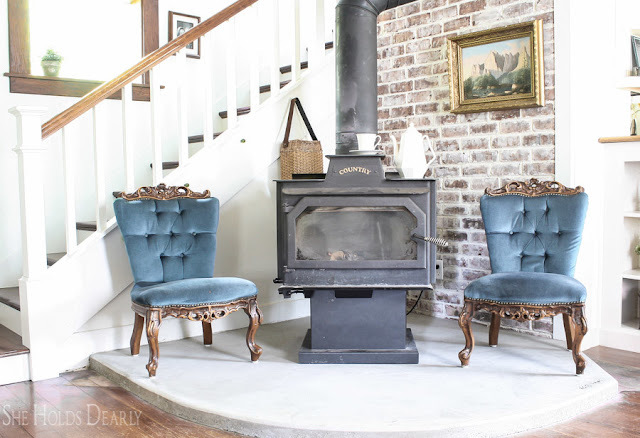 They added a concrete pad and it is perfect for their 1906 Farmhouse. Love this idea. I always love something homemade and a diy project or two for Christmas. The Navage Patch has a wonderful easy step by step tutorial on how to make this fun Ho - Ho - Ho. We will need to wrap a few presents before long and that is always a challenge. The Red Painted Cottage has an easy tutorial and some great tips for wrapping beautiful packages. Mark your calendars. 30 of your favorite bloggers will open their doors to share their Christmas Decor. Thanks for hosting Marty! 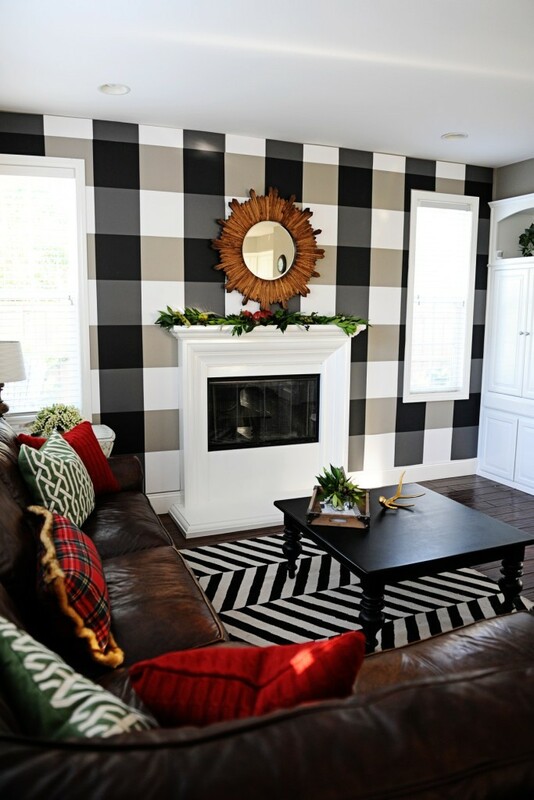 I'm lovin' the Buffalo Checks! I LOVE plaid for Christmas wrapping! thanks so much for hosting, Marty! Thanks for the party, Marty! 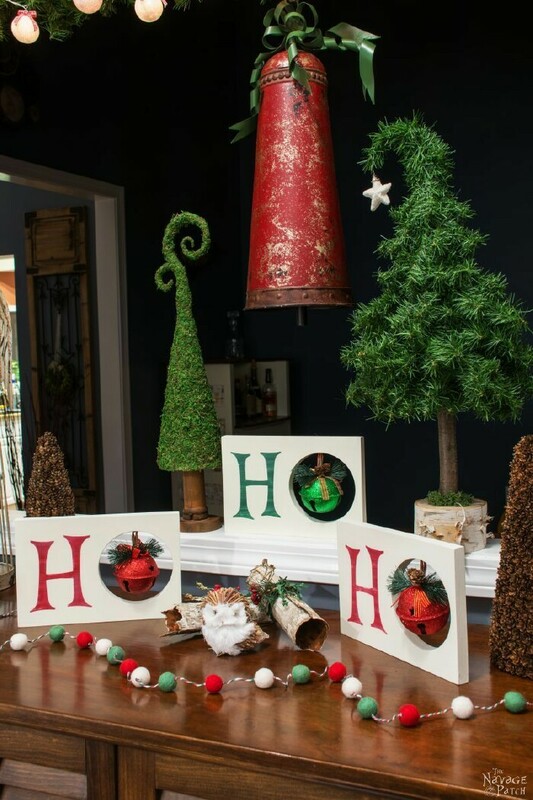 Looking forward to the Christmas Home Tours! Glad you had a great Thanksgiving Marty! LOVE those checks! thanks for hosting! 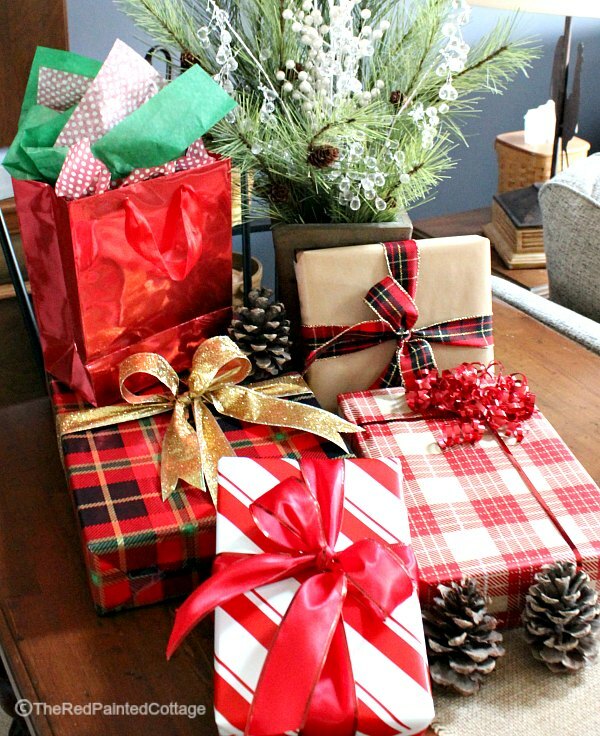 Thank you, Marty, for featuring my tips and tricks for gift wrapping and for hosting your awesome party each week! I'm looking forward to visiting all the houses on the Christmas tour! Looking forward to the home tours next week. I'm participating in one on Monday. Hope you can stop by for a visit. Thanks for hosting. Thank you so much for hosting Marty! I hope you had a wonderful Thanksgiving! What a fun surprise to see my buffalo check wall featured! :) Have a great day! Thank you so much Marty for hosting the party. Thanks so much for the party and for featuring our Ho-Ho-Ho! Wishing you a fabulous week ahead, Marty! Thank you for hosting, Marty. Great party as usual. Looking forward to the Home tours next week. Thanks for hosting and I hope your holiday was filled with love! The is beautifully decorated. I am a home improvement contractor and I really enjoyed your post. I am in love with your house. Great post. Your house looks beautiful. Gathered tips for my next thanks giving very informative.